Songbirds Music, Art, & Dance Center: Discover your passion! THE BEST MUSIC, ART, & DANCE CLASSES IN OVIEDO! Discover your passion. Sign up for a class today! 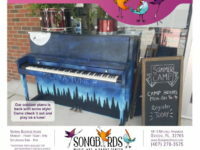 Songbirds Music, Art, & Dance Center is a school for the fine arts located in beautiful Oviedo, Florida. We are locally owned by two performing artists with passions for art, education, and community. Our focus is not just to offer top quality educational lessons and classes, but to become a place where artists of all disciplines can collaborate and grow together. Songbirds offers both classroom and individual Music, Art, and Dance instruction. Classes are available for all ages! We teach baby music classes, children’s art classes, adult dance classes, and much more! Sign up for a class today. The first lesson is on us! Join us at Songbirds for a truly unique and customized educational experience. With the very best teachers in the Orlando area on staff, we are certain that we can help you pursue your dreams. Whether it is helping you find your new piano, offering advice on the best pair of ballet shoes, recommending that new set of paint brushes, or creating your unique birthday party experience, our knowledgeable and friendly staff is here to help. Our school is a welcoming environment where discovery, creation, and collaboration are encouraged and praised. 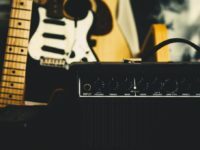 At Songbirds, we are honored to contribute to artistic growth in Oviedo with our free trial music lessons, open house events, free recitals, local artist gallery, and our focus on family growth and exploration. Come explore our custom-painted sidewalk piano, Drop-In Dance Classes, Recording Studio, Art Graffiti Wall, Paint Night Events, and more! Further, our connections to local artists, musicians, schools, universities, and professional performance companies make our education the most valuable, up-to-date, and helpful in the Orlando area. At Songbirds Music, Art, & Dance Center, we are here to help and serve you and your educational needs. Explore, create, and have fun with us! Fill out the form below to receive more information about classes at Songbirds! Fill out the form below to sign up for a trial class at Songbirds!